The KAFP is one of three grant recipients for the pneumococcal grant for quality improvement (QI) initiatives that will increase adult pneumococcal vaccination rates. In this initiative KAFP is partnering with family physicians to implement evidence-based practices to promote effective immunizations of Medicare patients. Practices selected for the Kansas Family Medicine Pneumococcal Immunization Office Champions (KFMPIOC) Program will be supported in using their Electronic Health Record (EHR) to track and improve their pneumococcal immunization rates and rates of other immunizations for seniors. Read more about KAFP’s project and the other two projects selected. 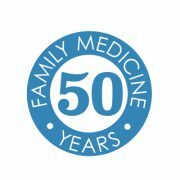 The American Board of Family Medicine (ABFM) announces a newly designed website (www.theabfm.org). The much-improved streamlined navigation was a central focus of the website redesign effort, providing a user experience that allows access to consistent and accurate information quickly and easily. Reducing the density of content and improving the clarity of explanations about the certification process were also major goals in this effort. The website will feature optimized responsive functionality on mobile devices which will allow users to access the ABFM website while on the go, in the office, or at home. A new search feature is also one of many improvements that will provide users the ability to quickly search the website for key information of interest. Finally, this site offers new features not previously seen on ABFM’s website, including a Get Involved with the ABFM section. The AAFP is now accepting applications for posters for the 2019 National Conference of Family Medicine Residents and Medical Students, July 25–27 in Kansas City, MO. The conference provides one of the largest forums for residents and students to display their research and special projects. Up to 50 posters will be selected for onsite display during the conference. Of those, the top 12 will be invited to give a brief oral presentation for peer review. One resident and one student will be awarded first place and earn a trip to the 2019 AAFP Family Medicine Experience (FMX), September 24–28 in Philadelphia, PA, to display their posters. Friday, March 15 is Match Day! An exciting day for medical students nationwide who will be matched with a residency program. Good luck to KU School of Medicine students who are matching on Friday! Match Day is an important measure of the development of the family medicine workforce. As well as being the 50th anniversary year for the specialty, 2019 would also mark the 10th consecutive year of growth in the number of students matching into family medicine if Friday makes for another record Match day. The AAFP and eight other national and international family medicine organizations are gearing up to collectively pursue a shared aim of having 25 percent of medical students match into family medicine by 2030. Keep posted to AAFP.org for updates on Friday, March 15! AAFP is offering a free webinar The Match: What Every Student Needs to Know on Wednesday, March 20 for students to learn what to look for in a residency program, how to make your CV stand out and how to make decisions throughout the nearly year-long process. The Center for the History of Family Medicine is accepting applications for the 2019 Sandra L. Panther Fellowship in the History of Family Medicine. The deadline to apply is 5 p.m. CDT on Sunday, March 31. All applications will be reviewed in April, with the fellowship recipient to be announced by May 31. Complete fellowship rules, application forms, and instructions are available online. The award provides up to $2,000 to support travel, lodging, and incidental expenses related to research on a project of the applicant’s choosing dealing with the history of general practice, family practice, or family medicine in the United States. Interested family physicians, other health professionals, historians, scholars, educators, scientists, and others are invited to apply. Contact Don Ivey by email or at extension 6007 with questions. This two-part webcast provides evidence-based strategies and tactics to increase influenza rates, particularly among patients 50 years and older and those patients with chronic diseases. Moderated by family physicians Thomas Koinis, MD and Margot Savoy, MD, this free webcast offers a review of primary updates to current influenza guidance and recommendations. Supported through an unrestricted grant from Sanofi Pasteur.